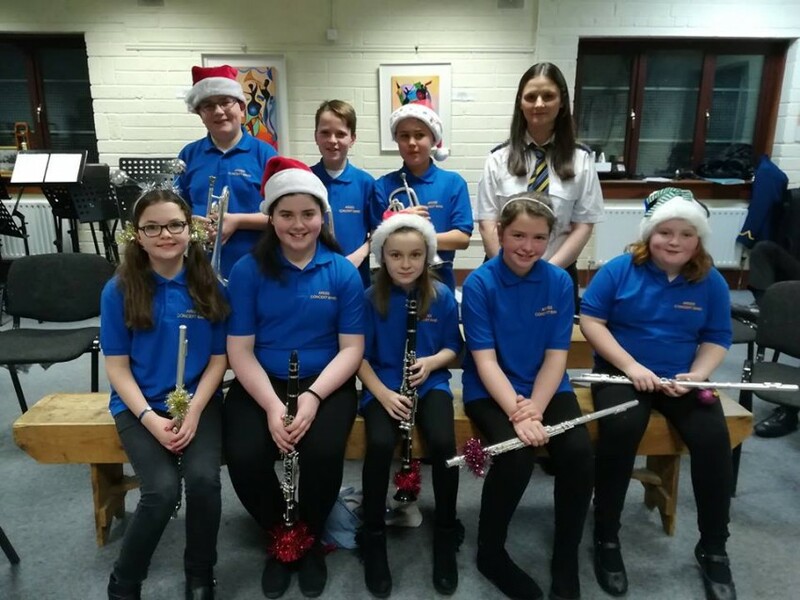 Ardee Concert Band plays for President – twice! 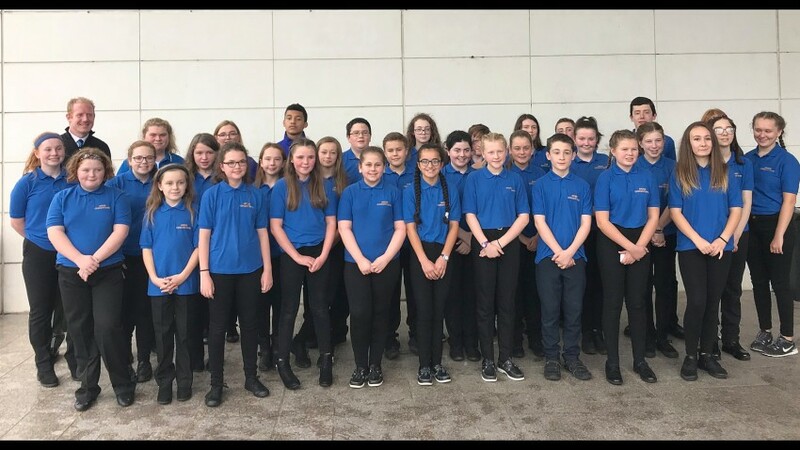 You can’t be in two places at the one time but Ardee Concert Band members managed it last Saturday when they played for the President, not once but twice! When the President arrived at the Ardee Parish Centre on Saturday morning for “The Gardai in the Community” event organised by Superintendent Ray Brennan of the Ardee Garda District, five young members performed as the President walked into the main hall. They were Robert Finegan, Darren Kirk, Liam Taaffe, Simon Cox and Killian Byrne and they played an impressive saxophone quintet arrangement of the Radetsky March. A mad dash was then made by Robert, Darren and Liam to Tallanstown to join the other 40 members of the Ardee Concert Band who were invited by Tallanstown Tidy Town committee to celebrate the unveiling of a special plague by the President marking Tallanstown’s great win in the 2010 Tidy Towns competition. The band, conducted by Harry Kelly, entertained the large crowd until Mary McAleese arrived at 12 noon when the they played the Presidential Salute. As the special commemorative plaque was unveiled, the band played a rousing Fanfare. The President spent some time meeting the people of Tallanstown while the band played a further programme. Great credit to the Tallanstown Tidy Towns committee who organised a fantastic day and provided refreshments for all who attending this special day. There is no time to rest for the band as they will perform in a concert tilted “Music of the Movies” in The Executive Pavilion at Punchestown Race Course on Saturday, May 21st with the Nas na Ri singers under the baton of Ardonian, Alan Kelly, a member of the band and conductor of the choir. On 24th, 25th and 26th of May, sixty-four members will sit the Grade Examinations of the Royal Irish Academy of Music due to be held in the Bohemian Centre. The Bohemian Centre, home of Ardee Concert Band, was abuzz on Thursday night last, 5th May, as Mums and Dads and family members came to hear the next generation of the band perform. The evening started with a performance by the current Recorder Group, conducted for the evening by Sean O Brien, one of their instructors. The band holds annual grade examinations through the Royal Irish Academy of Music. Kevin Reilly, MC for the night, explained that last year, 50 students sat examinations and had excellent results. Six band members received distinctions, this means 90% or above. Dermot Murray, band secretary, presented these certificates and congratulated the students on their achievements. The band also wanted to mark the fabulous win of the Ardee Concert Youth Band at the National Band Championships on April 9th last when they took first prize in Section 4. The Youth Band conductor John Gaynor made the presentation of medals to all who performed on the day and also to Alex Clinton who unfortunately broke his collarbone a day or two beforehand. It was felt that Alex worked very hard and had improved so much that he deserved his medal. “It was a great social evening,” says Fiona Reilly PRO, “it was lovely for the families to hear their children’s progress and to get together in such a relaxed atmosphere. “ Tea and cakes were served afterwards to all who attended, organised by some of the ladies on the committee.